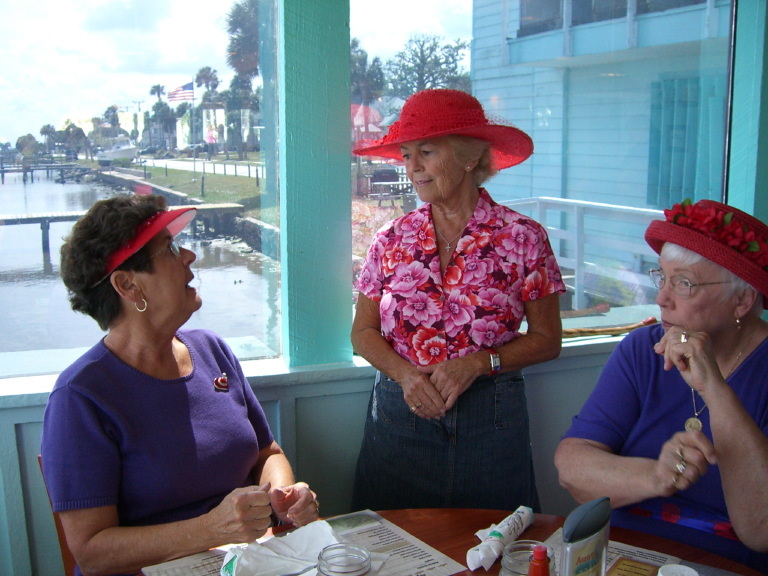 The Red Hat Society has been doin' it for years: Charlotte (not shown, she's photographer! 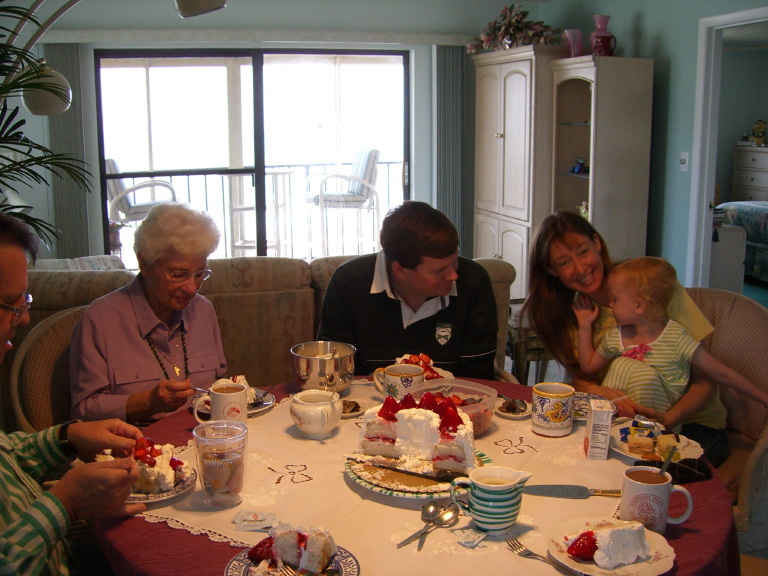 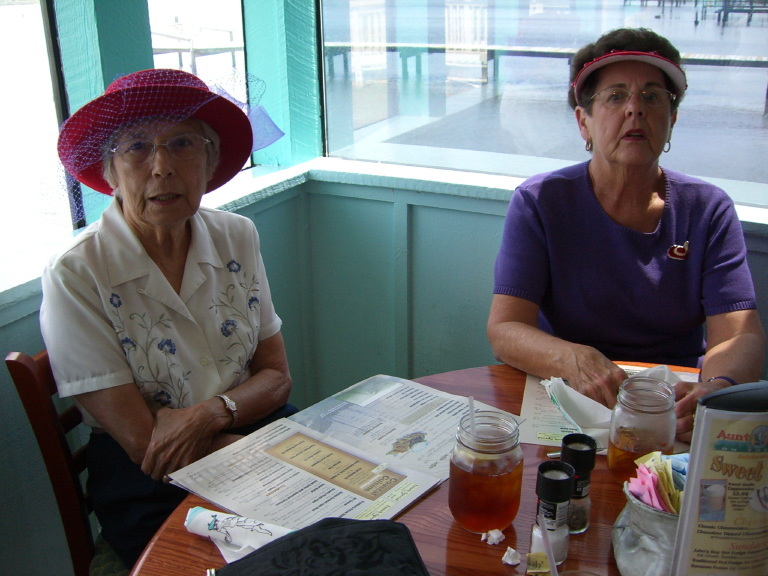 ), Jean, Jean's neighbor, Jean's sister-in-law Juanita and their friend Phyllis Curl all meet for lunch. March 14. Patrick's birthday is celebrated with a cake shared by The Adventsingen crew: Bill, Karyn & Patrick and their little girl, Alaya. 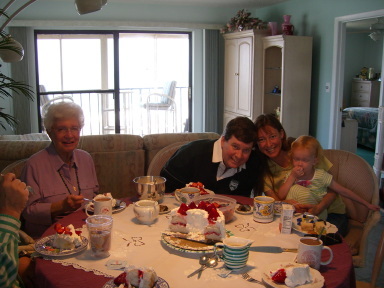 March 18 (Patrick's birthday was March 17). The Red Hat Society meets for lunch. 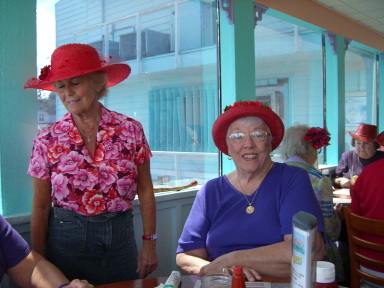 Jean smiles for the camera. 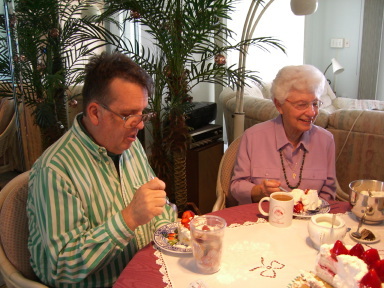 Looks like Bill is enjoying the strawberry cake!